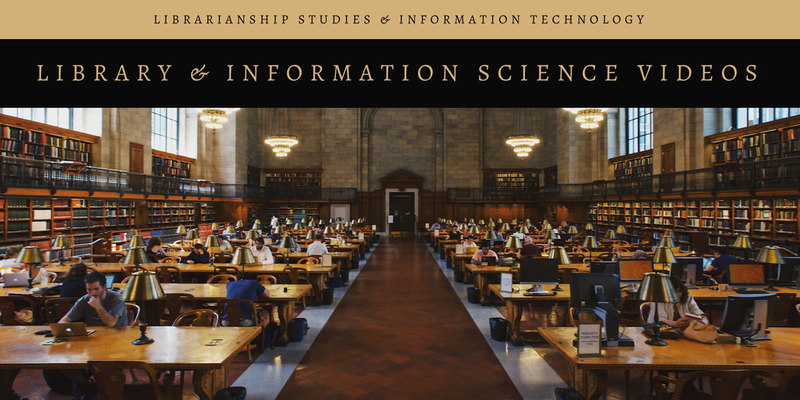 Library and Information Science Videos is an initiative of Librarianship Studies & Information Technology blog to showcase the finest LIS videos for librarians, catalogers, metadata, archives, and knowledge professionals. Note: If you are viewing this article on a mobile device then it is better to view in the web-version. 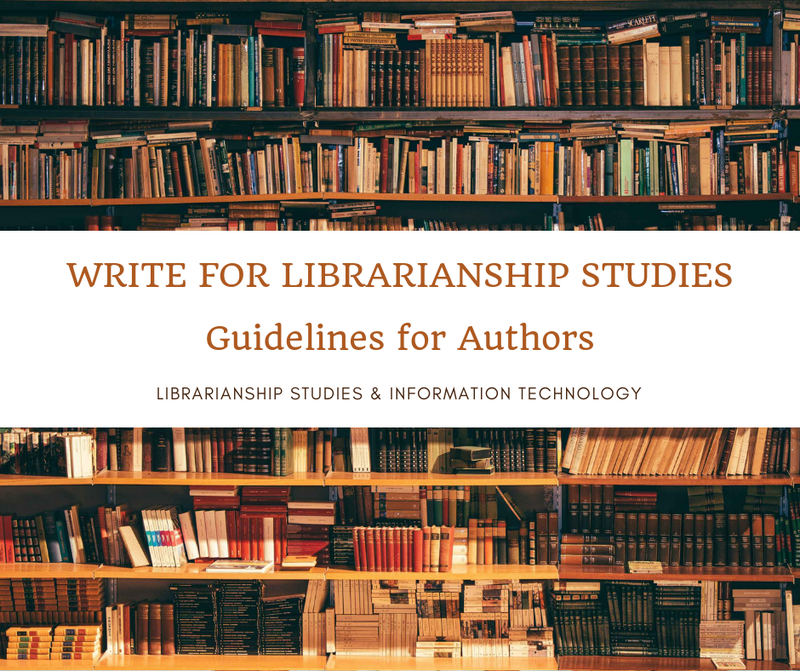 Library and Information Science Videos in Librarianship Studies & Information Technology YouTube Channel playlists which are named and organized by broad areas "Categories (Labels)" of Librarianship Studies & Information Technology blog. Videos in the below YouTube playlists will play automatically one after another. If you click on the top-left side, it will show the list of videos in the respective playlist, and you can click to play any one of them. SCOPE: On acquisitions or books, serials, e-resources, etc. in libraries in information centers. Collection Development--Books, Serials, Non-book Materials--Selection, Acquisition, Maintenance; ISBN, ISSN, Cataloguing-in-Publication (CIP), E-documents, E-books, E-journals, Etc. SCOPE: On cataloging and metadata. Library Cataloguing Codes--RDA and AACR-II. Library Cataloguing--Cannons and Principles. Bibliographic Records--International Standards--ISBD, MARC21, BIBFRAME, and CCF. Etc. Indexing--Pre-coordinate,Post-coordinate. SCOPE: Theory and practice of library classification and shelflisting. Classification schemes like Dewey Decimal Classification (DDC), Library of Congress Classification (LCC), Universal Decimal Classification (UDC), and Colon Classification (CC). Organization of knowledge/Information. Modes of formation of subjects. Library Classification--Cannon and Principles. SCOPE: Biography of famous librarians and history, practice, and techniques of librarianship. Description of library and information science. Library and Information Profession. SCOPE: Librarian's Reference Directory (or Librarians Reference Sources Directory) is a web directory of Library and Information Science reference sources on the World Wide Web. SCOPE: Famous and beautiful libraries the Library of Congress of Washington D.C., the British Library of London, and the Bodleian Library of Oxford. Library associations such as IFLA, ALA, and CILIP. Types of Libraries--National, Public, Academic, and Special (Objectives, structures, and functions). SCOPE: Impact of libraries on society. Role of Information in Planning, Management, Socio-Economic Development, Technology transfer. Etc. SCOPE: Library and digital marketing techniques and case studies. Includes social media marketing and search engine optimization. SCOPE Study programs of top-ranked library schools or i-schools. Tutorial by noted professors of library and information science. SCOPE: Use of technology in libraries. Databases--Search Strategies, Boolean Operators. Information Technology--Components; Impact of IT on Society. Computers--Hardware, Software, Storage Devices, Input/Output Devices. Networking--Concepts, Topologies, Types--LAN, MAN, WAN. Library Automation--Areas of automation, Planning, Hardware, and Software Selection, OPAC. Integrated Library Systems, Digital Libraries, Virtual Libraries, Etc. SCOPE: Theory, practice, and techniques of library and knowledge management. Management--Principles, Functions, School of Thought. Planning, Organization Structure, Decision making. Human Resources Management--Manpower Planning, Job Analysis, Job Description, Selection, Recruitment, Motivation, Training and Development, Staff Manual, Leadership and Performance Evaluation. Financial Management--Resource Generation, Types of Budgeting, Cost and Cost Benefit Analysis. PERT, CPM. Library Buildings and Equipment, Performance Evaluation of Libraries/Information Centers and Services Marketing Information Product and Services, Total Quality Management (TQM). SCOPE: Library circulation and loan activities. Types of Users, User Studies, User Education. SCOPE: Miscellaneous topics in library and information science not covered by other Librarianship Studies blog labels. SCOPE: Reference service in libraries and information centers. Reference and Information Services, Referral Service. Bibliographic Service, Indexing and Abstracting Service, CAS, SDI, Digest Service, Trend Report Online Services, Translation Services, Reprographic Services Etc. SCOPE: On research methodology in the library and information science. Types of Research--Basic, Applied, Interdisciplinary. Research Design. Scientific Method, Hypothesis, Data Collection, Sampling. Methods of Research--Historical, Descriptive, Case Study, Survey, Comparative and Experimental. Statistical Methods, Data Analysis. Report Writing, Bibliometrics. Etc. SCOPE: Reviews of books, journals, databases, e-resources, software, integrated library systems, Etc. SCOPE: About subject headings and subject indexing. Library of Congress Subject Headings (LCSH), MESH, Sears List of Subject Headings etc. Vocabulary Control--Thesaurus, List of Subject Headings, Etc. Jayaram Haravu (or L. J. Haravu), Managing Trustee at Kesavan Institute of Information and Knowledge Management (KIIKM) and Pioneer of Open Source Library Software movement in India, creator of NewGenLib (www.newgenlib.com) integrated library system, [April 3, 2017, E-mail in LIS-Forum, PCCLIST, AUTOCAT on article Library and Information Science Videos and Resource Description & Access (RDA) blog] -- I congratulate Salman Haider for bringing to our notice this excellent initiative. I am sure this will be an invaluable source for teachers and students of librarianship and information studies. I have been a silent observer and admirer of your commitment to de-mystifying RDA for several years now. What you are doing is most commendable. I wonder, though, how many have taken advantage of your knowledge. Mamta Joshi, Library & Knowledge Management Consultant, India [October 1, 2017] -- That was quite informative. Janet Loboz, Librarian at Fr Muller Charitable Institutions, Mangalore University, India [November 27, 2017, comment on LinkedIn group Information Science and LIS] -- Good, Beautiful, marvelous, knowledgeable. Shared by Webjuction, a program of OCLC Research with following comments.